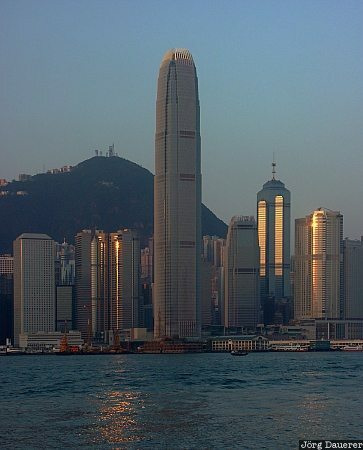 Hong Kong skyline in soft early morning light seen from Kowloon, Hong Kong, China. This photo was taken in the morning of a sunny day in October of 2005. This photo was taken with a digital camera.